As I have recently come down with a awful bout of carpel tunnel syndrome, so I 've delved more into keyboard shortcuts. I use Carrara 8 mostly for animation. So I am constantly playing, sliding keyframes moving the scrubber hitting play and stop. I am a bit surprised there are no keyboard shortcuts available for these functions. you could even use a shuttle pro controller to scrub and play in Carrara and load in a bunch of keyboard shortcuts as well? Is this just me or do others have this wish? Is this something that could be written as a plug in, or does it have to be in the program code? I would pay for it. Anybody else? Please don't laugh, is there a way to submit this to Daz? I'm pretty sure that almost any menu item or command can be assigned a keyboard shortcut. Go to Carrara preferences and there's a drop down menu for setting them. Nope Not play or pause, only saw next keyframe and previous Keyframe, but not next frame, or previous frame. That's a bummer, and should actually be reported as a "Feature-Request" bug in the bug tracker. If you call it some other kind of bug, they might just test it and say that it works as planned. Be sure to include what you wrote here about carpel tunnel syndrome, as it may help. I would also suggest copying the report number and pasting it here in a new post to this thread, and I'll link it to the wishlist links, so I can find it easy for my requests letter. By posting the number in here, when I direct people here for adding more keyboard control options, they can easily add to your report by clicking (or copying) the number. My wife, Rosie, had surgery (one of the many kinds) for hers on both wrists, and it got much better - but the recovery period is quite sore and action very contained. She had the kind where they slice the tendon tubes and let them heal to a larger size to accommodate the tendon within. Cheaper than other options - luckily it worked well for her. She used to just start crying from the pain at any given time of any given day. No matter how severe, I really feel for you - and hope the condition improves for you. Glad to hear that Rosie's surgery helped. 8068, I hope that your own situation involves a rapid recovery (preferably surgery-free). You're right. I'm very surprised. Fenric created a simple program that adds a new keyboard shortcut (http://fenric.com/wordpress/store/products/selection-changer/) to Carrara. It doesn't do what you need, but maybe he can help. I started to get pins-and-needles tingling in my hands; especially when I was riding my bicycle to and from work. /quote]Wow. is that a sign of carpel tunnel syndrome? I get that a lot from cutting stone. The effect will last for months and gets really strong sometimes. But I was told a few years back that my entire skeleton is being coated with arthritis. "What do you do, swing a sledge hammer all day every day?" I nearly dropped when they asked that, but simply replied: "Yeah... that's pretty much what I've done since I was 14"
Luckily, I had an accident with one of those big pay loaders which left me with three slipped discs in my spine. One in each; Cervical, Thoracic, and Lumbar. By the time I completed enough physical therapy and localized steroid injections to get the screaming pain to stop waking me up every night, I felt better that I did when I was 20 - and I still feel great. No surgery, just physical therapy. Now I'm a bit anxious to have another full skeletal x-ray done again and see what it says. I am on a lifetime prescription to pain meds that I take all day every day... but I do feel better and have great stamina. Stronger, too. Luckily, I had an accident with one of those big pay loaders which left me with three slipped discs in my spine. One in each; Cervical, Thoracic, and Lumbar. You have a very odd definition of the word "luck." I am on a lifetime prescription to pain meds that I take all day every day... but I do feel better and have great stamina. Stronger, too. I think part of why Carrara doesn't have better animation controls is that, at the time, the Storyboard room was used for manipulating frames and has not been updated, or removed, in favor of newer hardware/ram using the OpenGL scene preview(imho). It also has a few major bugs if I recall. In years on the forum I've only seen a very small number of posts about the Storyboard room being used. These are older version requests but can be updated to C8.5 beta by adding notes there. I submitted a feature request in the Bug Tracker, and dropped a note at Fenric's web site. Right now ice, and a splint plus laying off carrara are helping. 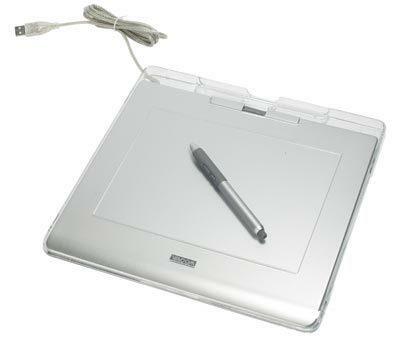 I've ordered one of those Monoprice Drawing Tablets, I'll see if that helps. Right now ice, and a splint plus laying off carrara are helping. Good luck with all three efforts. It would not be a probelm to do rewind, fast forward, previous frame, and next frame. I think I see how to do Play and Stop. I haven't tried my Wacom Tablet in Carrara... I'll have to give it a whirl. In the old forum, Dimension Theory asked if anyone uses a tablet for Carrara and most tablet users said that their mouse works much better. DT ended up buying a Monoprice and loved it. For everyone who didn't like using their tablets in Carrara, all of them said that drawing is not the same without one. I know... right? Screw loose is right! If you were ever able to do this it would make me very happy, and I would be happy to pay for these features.